It is wonderful to see that in business we are moving more towards embracing emotional intelligence and that the psychological safety of people in the workplace is a key component to more profit. However, with the move towards more feelings sensitivity, there may be some unexpected downsides. This type of environment could make it easier for covertly aggressive people to avoid detection and promote their win at all costs agendas! There are individuals who employ any tactic available to keep themselves in a position of advantage over others. They do not have self-esteem issues, little self-doubt and little consideration for what others will think of their behaviour. The idea that people will keep away from conflict unless they absolutely have to doesn't apply here. This episode is inspired by some of the work that is emerging through such people as Dr George Simon author of In Sheep's Clothing, Dr David Schnarch author of Brain Talk and Psychopath Free by Jackson MacKenzie. A more expanded understanding and approach to fundamentally aggressive people is needed not only for the victim's but for the effective management of the different aggressive types too. Most people have some familiarity with more overt narcissistic behaviour. Covert narcissism however can be so much harder to spot and yet just as damaging to those on the receiving end. Covert narcissism can slip under the radar and even though you feel something isn't right, it is a struggle to identify the toxic behaviour. This toxic behaviour can be so subtle and sophisticated. Having further insight into what to look out for can really help you begin to take some level of control back in the dynamics and hold your space in a healthy way. Dealing with any type of Narcissistic wound can be challenging, so education is a great resource. It can be so challenging and confronting to have to deal continually with someone with Narcissistic wounding because they happen to be in our family! Each family system is different, however there are some steps to take to help with managing yourself through what can be an extremely challenging dynamic. We need to understand the strategies employed by our particular narcissistic and which of those strategies we are most reactive to. Our best opportunity is to not look to change the narcissist but rather to change our reactions in relation to dealing with them. 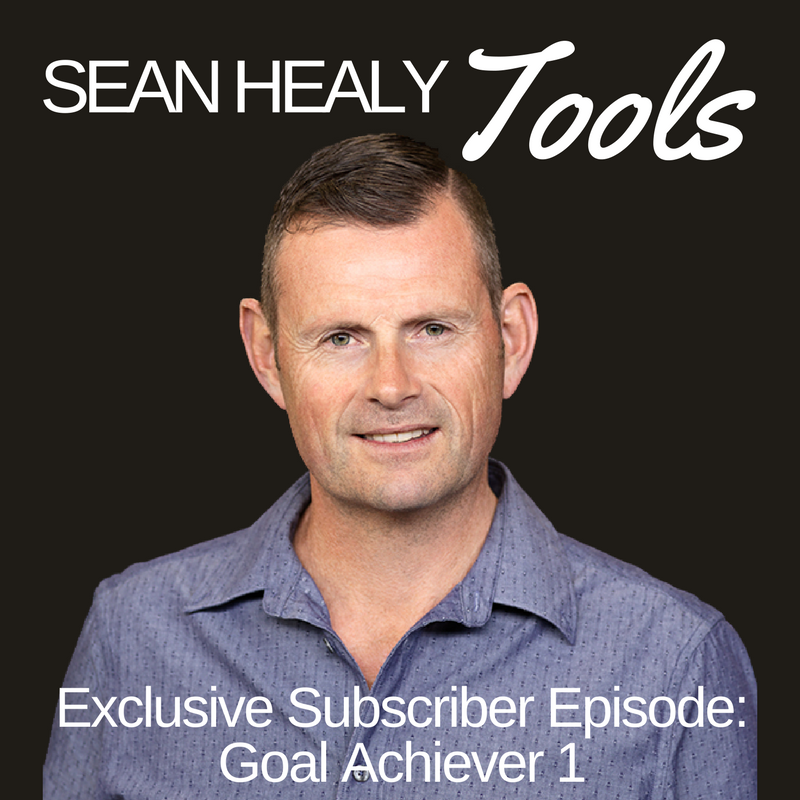 I truly hope this episode helps you to form an approach to better achieve that. I would also like to acknowledge the work of Relationship expert Jerry Wise whose ideas helped contribute to this episode and Feedspot for nominating the Sean Healy "Tools" and Emergence Training as one of the top 15 podcast resources on the net in relation to Narcissism. Working with Narcissists can be a bewildering and painful experience. Narcissism is a spectrum and dealing with those that demonstrate consistent adaptive disfunction can really make your work life extremely challenging. Through understanding a little more about Narcs (Narcissists) and what patterns they often display allows you to form a strategy to respond rather than react. Often not getting hooked into their game, managing your own emotional responses to them and having a sense of humour become really powerful! Episode 53 offers insights into what to look for and how to best respond when confronted with extreme narcissistic behaviour in the workplace. The whole challenge of having been exposed to Narcissistic behaviour through a parent as a child is such a complex area. Certain coping responses get employed often just to survive especially if the parent is on the extreme end of the spectrum. As a result, the adult child can have some unique challenges to overcome in order to embrace their own life and have healthy and loving relationships. When we have been consistently shamed, told we don't measure up, shown little empathy and emotional understanding it can leave us vulnerable to attracting in toxic people into our adult experience. This episode looks at some of the challenges facing those that grew up in a household affected by Narcissism and what needs to be done to heal from such an experience. Another challenging episode to hear for some but so important to recover and the reclaiming of self. Narcissism is challenging at the best of times to deal with let alone having been raised by a parent on the Narcissism spectrum. In order to accommodate the narcissistic parent, the child must learn to adapt and mould to what it perceives are the parent's expectations. If not, the consequences can be severe! However part of maintaining a perceived position of superiority for the narcissist is that strategies are employed to see the child never measures up. This continued message of never being enough can result in challenging consequences later in life. Through understanding more of the dynamic and its potential consequences a person who had to endure this upbringing can begin to recover and take control of their lives. A possibly challenging episode for some to hear but important for healing!